The List: Points Leaders That Missed Races April 5, 2019 We take a look at riders who have missed races once in the championship lead. Supercross is Returning to Hawaii on May 11 March 27, 2019 The Hawaiian Supercross was announced last week and will feature Justin Brayton, Mike Alessi, and Josh Hill, with more rider announcements coming soon. 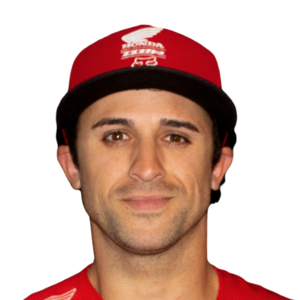 Justin Brayton Out With Knee Injury, Ben LaMay to Fill-In March 26, 2019 Brayton suffered a torn MCL and strained ACL, LaMay to fill-in at three rounds, starting in Houston. Redux: News and Notes From Indianapolis March 19, 2019 Indianapolis by the numbers, quotes from around the paddock, injury updates, and more. 10 Things to Watch: Atlanta March 1, 2019 The battle of the 250SX Monster Energy/Pro Circuit Kawasakis, Jace Owen and Mike Alessi will make their return to supercross, and more. Vince Friese To Undergo Surgery For Torn ACL; Mike Alessi To Fill-In at Select Rounds February 25, 2019 The team said recovery time is expected to be six months, which rules Friese out for the remainder of the series. Mike Alessi Signs With Honda GDR/Fox Racing February 13, 2019 Mike Alessi is returning to Canada in 2019. On This Day in Moto: September 10 September 10, 2018 Ricky Carmichael has the worst race of his career at Glen Helen, Belgium wins the Motocross of Nations for the first time in 15 years, and more. On This Day in Moto: August 3 August 3, 2018 Mike Alessi wins his tenth and 11th titles at Loretta Lynn's, the last Inter-Am race is held at Appalachia Lake Motocross Park in West Virginia, and more. The List: Every AMA Horizon Award Winner In History August 2, 2018 We take a look at every recipient of the prestigious amateur award since its inception in 1997. On This Day in Moto: July 21 July 21, 2018 Ryan Dungey and Mike Alessi swap moto wins at Washougal, Ricky Carmichael continues his march toward the first perfect season in AMA Motocross history, and more. The List: Straight Rhythm Two-Stroke Bikes July 13, 2018 We’re dreaming of retro themes and riders. Which one do you like? On This Day in Moto: June 29 June 29, 2018 The Ryans trade 450 moto wins at the Southwick National, James Stewart continues his march to a perfect season, and more.